Congrats on landing that prestigious NYC summer internship. Adult clothes? Check. Fancy laptop bag? Check. Place to live? Uh oh. Unless you plan on couch surfing or succumbing to that creepy apartment you found on Craigslist, you’ll need a student housing expert. In comes Educational Housing Services, aka EHS. 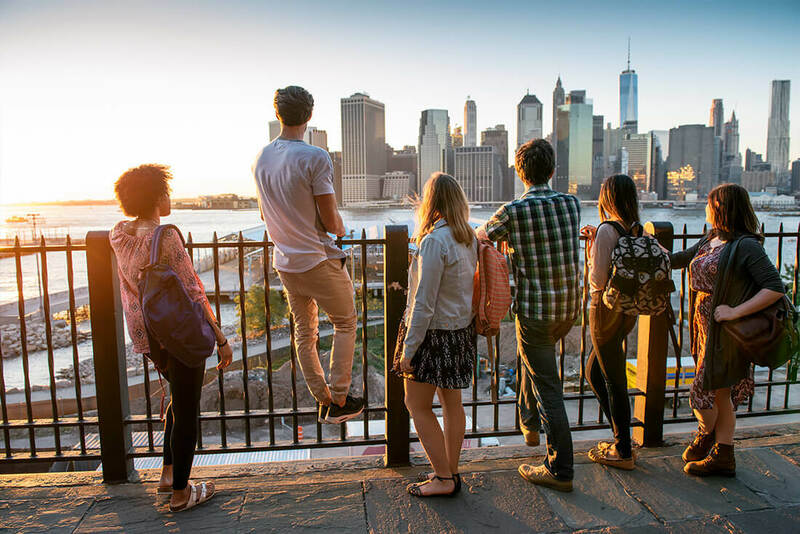 This nonprofit organization offers safe and gorgeous student and intern housing year round in NYC while also creating the ultimate community experience for college students. Check out 10 reasons why EHS solves your NYC housing crisis. You love Netflix. But Netflix won’t love you back. After a week of interning and binging on 13 Reasons Why, you’ll get bored out of your skull very soon. EHS student-intern housing brings the food and the fun with student life events that entertain and get you socializing. 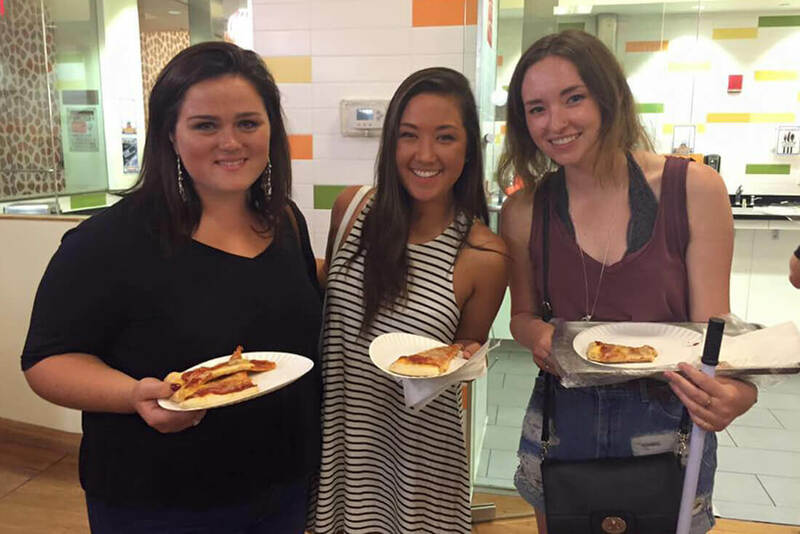 Residents gather for a Pizza Meet & Greet, a BBQ or even EHS’s Bop-It Tournament. “They’re so much fun! 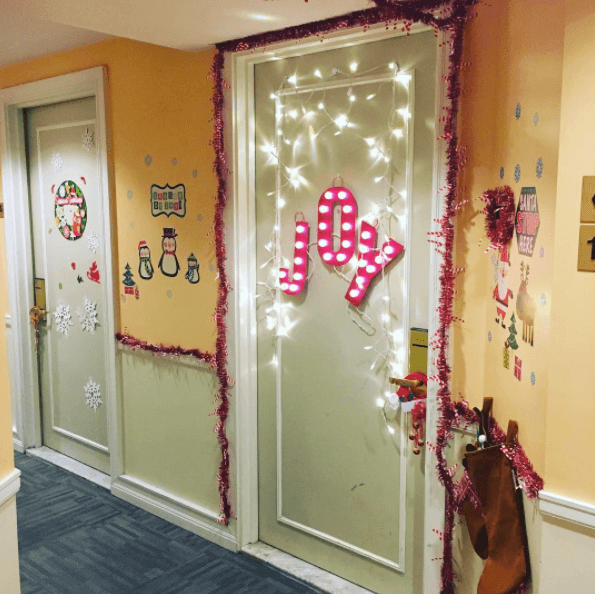 Some [events] had free food, some had prizes, some involved exploring, and I just think that getting residents together to meet each other and do fun things is so fun and rewarding,” said Hayes. Who has time to figure out the best cable and Internet bundle? You want Wi-Fi service that will guarantee you can Facetime your long distance S.O. without the spinning wheel of death. Even getting a gym membership is stressful. EHS housing makes life easy with amenities galore. That way you can focus on your internship versus waiting around for the cable guy. 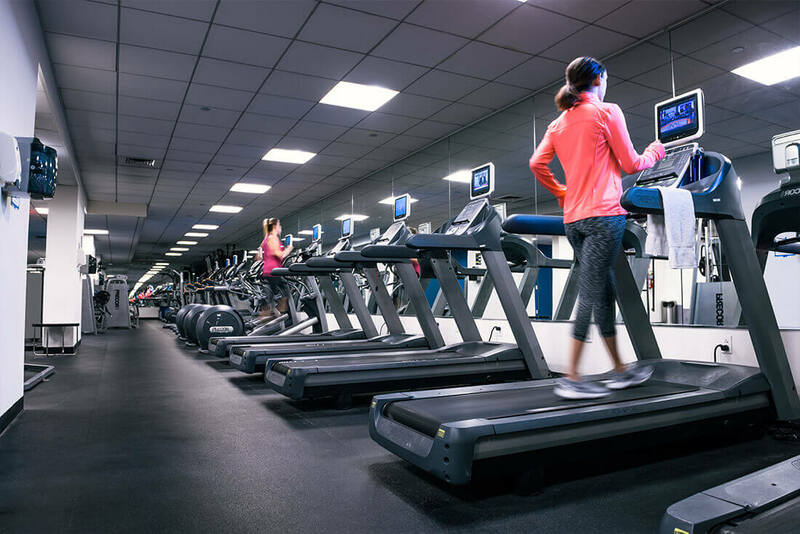 Most EHS rooms include a cable package, air conditioning, microwaves and a private bathroom, plus the buildings have a fully stocked gym to help you stay in shape as you eat your way through NYC culinary treats. Did someone say cronut? You don’t even have to worry about dealing with noisy neighbors— EHS has you covered with study and library rooms. “EHS has so many different facilities that you can utilize to get your work done and manage your time,” said Makda. Beyond that, you’ll also find TV and game lounges with entertainment like pool tables. Best of all, you can reserve the rooms for events—hello, Harry Potter trivia night. Who wants to commute for ages everyday? No one. 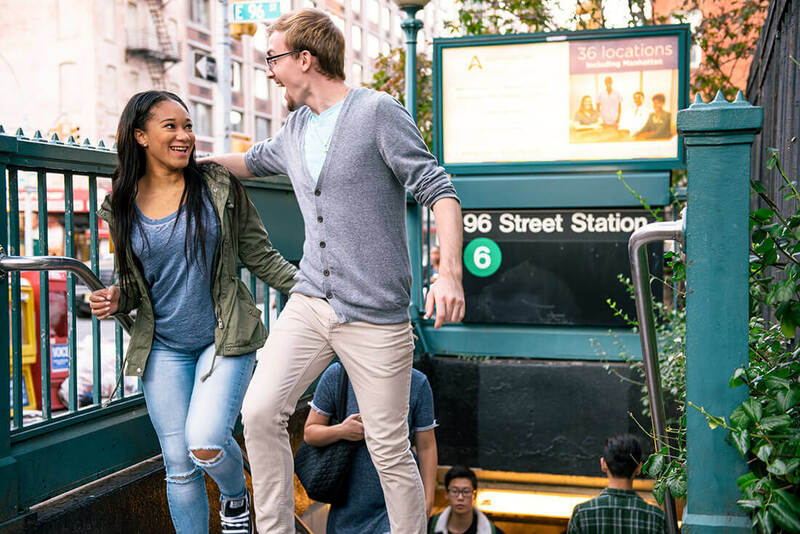 EHS makes commuting easy with six residences across the city: 55 John Street in the Financial District, 1760 Third Avenue in the Upper East Side, Cooper Square in East Village, Marymount in Midtown East, New Yorker in Midtown West and St. George Towers in Brooklyn Heights. Just pick the one that works best for you, and if you’re unsure which is the right fit, EHS can help you with that. Your summer internship might get stressful, but where you live shouldn’t cause you any pain. “My favorite thing about EHS has been the location and the beautiful sights you can get to see. 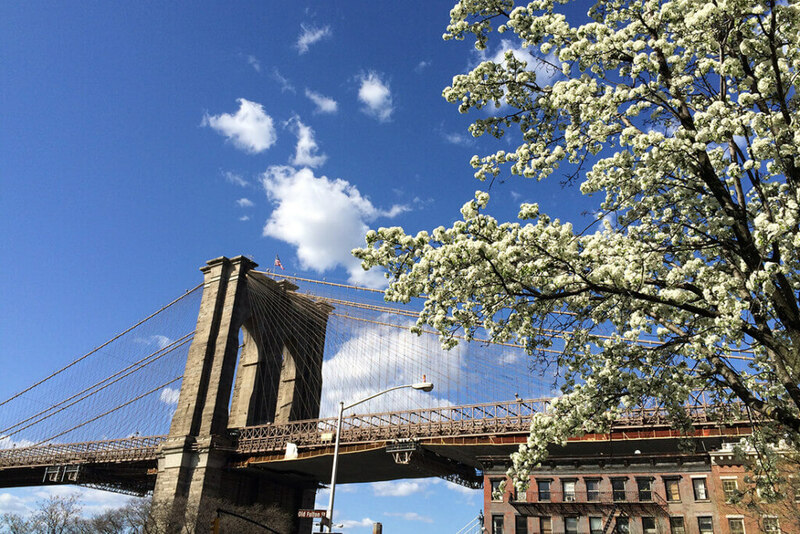 Like the Brooklyn Bridge Promenade, the Brooklyn Bridge, Dumbo and Prospect Park,” said Make-up Designory graduate Samantha Avery, who lived in the EHS St. George Towers residence. Beyond that, you won’t need to lug your dirty clothes to a Laundromat; the room comes fully furnished and you’ll live close to fun places to shop and brunch. “[EHS is] a great way to still have that college living space and community, but still feel on your own and free in a big city,” said Valerie Fraser, who lived with EHS while studying at Belmont University and interning at Cosmopolitan Magazine. Let’s be real—living in a big city may come with perks, but you can’t forget about staying safe. If you (and your parents) are concerned about safety for you and your shiny new laptop, you can rest easy in EHS student housing. Just like campus dorms, no one can enter without a photo ID card. Residents must show their ID card to the security guard before they can enter. How much safer can you get? Who wants to live in a building where your neighbors are complete strangers? EHS creates a community feel. “I would definitely recommend it to other students and interns because everyone is like a family. Whether you have a question about something or you are just saying hi, everyone is always friendly and willing to talk,” said Josie Silbaugh, a freshman at John Jay College of Criminal Justice. After a long day at your internships, it’s nice to know that there’s a friendly and welcoming vibe back at your building. At EHS, you’ll love everyone in your residence so much you probably won’t even miss the comforts of home. That’s right, you can…sort of. 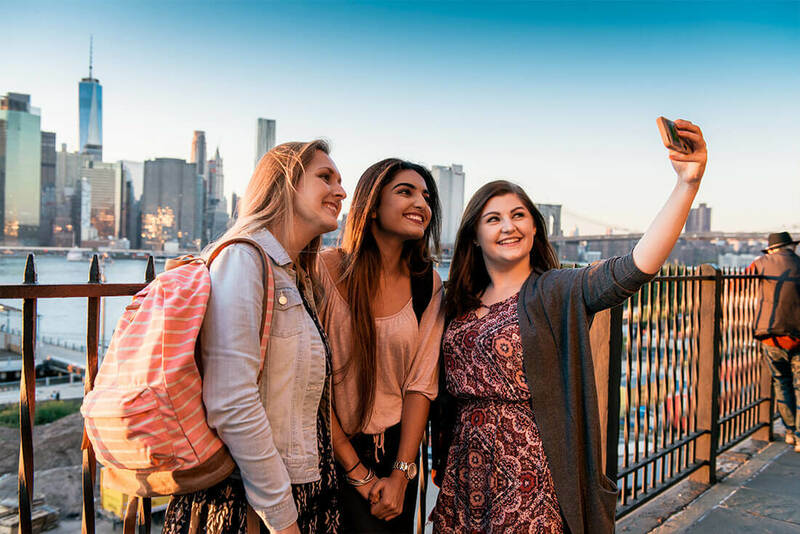 Let’s say you and your bestie both landed summer internships in the Big Apple, and you’re hoping to embark on your very own Girls adventure. You probably want to live together, am I right? Rather than hunting for an apartment suitable for the two of you, instead simply go to EHS and book the same room type and then put in a request to room together. It literally can’t get any easier. If you’re moving to NYC on your own, when you book your room an EHS rep will talk to you about your sleep preferences, age and habits to help EHS assign you a roommate. That’s much better than subletting a room with a random stranger. Maybe you’ve always wanted to see the Statue of Liberty or the Empire State Building but don’t feel like going alone. Sound familiar? 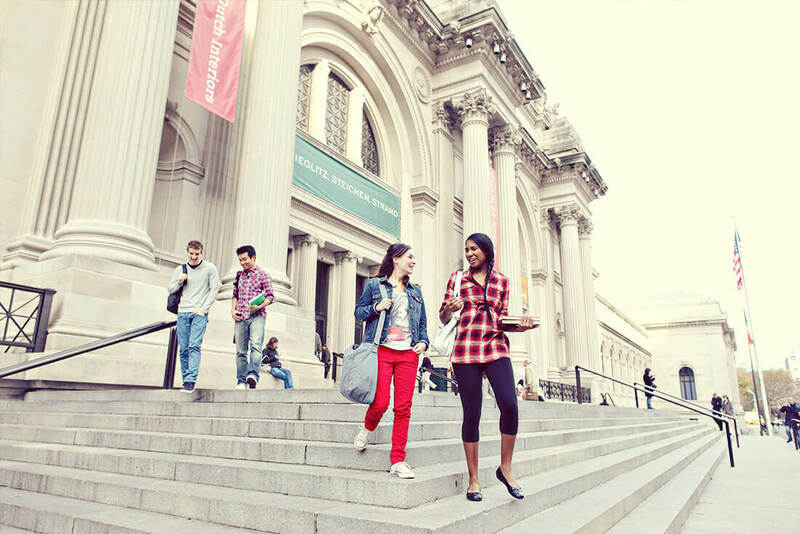 With EHS’s Student Life events, you’ll have the chance to experience everything NYC has to offer, from Yankees games to exploring Central Park. Best of all, you’ll do it with fellow interns and college students, AKA the perfect chance to find your very own Friends crew. Just imagine all those Insta-worthy moments that will make your squad back home jealous. Ever picture yourself living in a Pinterest worthy space a`la Gossip Girl? Look no further than EHS, which offers seriously beautiful residences. Imagine rooms with private bathrooms, a colorful kitchen and a chic looking lounge. “I have a triple, so my room is actually really big. I never find that I’m intruding on my roommate’s space and vice versa, and you really have your own space that you can work with,” said Makda. “The closets are really spacious and the bathrooms are also not communal which is great, the showers are really nice and clean, the whole room, it basically looked like a hotel room when I first moved in.” Why settle for a crappy apartment with cheap furniture when you can go for something that will allow you to live in comfort and style. No, really—we kid you not. You literally just fill out a form on studenthousing.org, and voila. On their site, you’ll even find a live chat option, so you can guarantee that all your questions will be answered. Except for falling asleep after a long run, nothing in your life could possibly come easier. What are you waiting for? Keep reading for 10 more reasons Educational Housing Services is the only place you should look for NYC student housing. Kimmy’s landlord on Unbreakable Kimmy Schmidt seems adorably kooky—but you want a landlord who’s got your back. At Educational Housing Services you won’t deal with landlords popping by at weird hours, acting rude or being generally unhelpful. Instead, you get friendly-faced resident assistants. And they throw residents game nights and bring snacks. Sound like a fair enough trade for affordable rent? Worrying about maintenance issues takes a backseat in Educational Housing Services living. Imagine waking up drenched in sweat because the air conditioner broke during an NYC heat wave. Then picture coming home from work to a chilled living room because the maintenance crew is that fast. Residents fill out maintenance requests in minutes online. Now sit back and relax, the maintenance crew will arrive soon. “Students report any maintenance issues they have through an online form that they have to fill out and the issue is usually solved within a day or two. After submitting the form, they will be sent a confirmation email to let them know that maintenance has received the message,” said Baruch College freshman Irine Thomas. Sounds easy enough! Educational Housing Services combines the best of dorm and apartment life. You get large rooms, kitchens for easy meal prep and a floor full of new potential friends. So even on your worst day when you got on the wrong subway twice, made the mistake of hailing a cab in rush hour or received a rude comment from a stranger on the street you’ll always have your EHS home base. “The thought of leaving home and Boston really scared my parents and me. I was nervous of the big city… however, I felt at ease once I got to my EHS apartment this summer. Everyone I met was so kind and welcoming, I had no issues transitioning into the city,” Xhonatan Mezini of Boston College said. You’ll feel totally relieved to share your troubles with your floor mates. Looking for an easy way to save cash for a big night out in the city? Educational Housing Services offers residents discounts to places across town. Score a cheap lunch at nearby restaurants and cafes like Famiglia Pizzeria, Caffe Buon Gusto and Jersey Mike’s Subs. Plus, EHS blesses you with the gift of an easy morning commute with 10 percent off at Dunkin’ Donuts. Perk up with a steaming, discounted cup of joe every morning on the train to work — just try to avoid the jealous stares from fellow subway riders. On weekends, take advantage of discounts with Amtrak to visit friends or explore a new city like Philadelphia or Boston. Your family can even come to the Big Apple for a visit and get discounted hotel rooms at places like Nu Hotel and New Yorker Hotel Guest Rooms. You’re already saving on overpriced NYC rent. Now your wallet will burst with gratitude. Educational Housing Services apartments come fully furnished so you can save yourself that stressful shopping trip at Target. 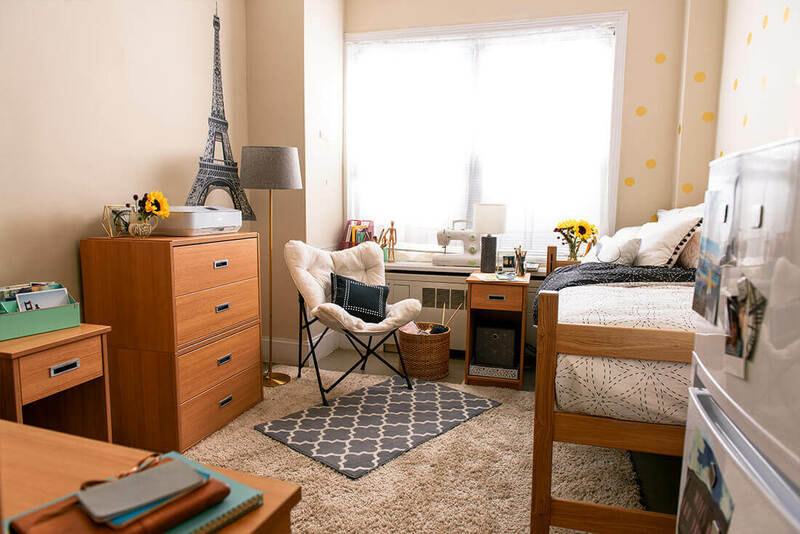 All EHS rooms include a twin bed, desk, chair and a dresser or closet for easy storage. No need worry about your mail getting lost in the giant metropolis, either. Students can access secured package rooms that make receiving packages a breeze. “The EHS buildings have mail rooms for students to get mail easily. Residents have a key that they get to check their mail. There are also package centers where packages and mail are delivered to them and students can only pick up packages every first 20 minutes of the hour when the RAs are on duty at the package centers,” Thomas said. Hang out with students from around the world while wearing your pajamas. International students also live in Educational Housing Services residences, giving you a chance to learn new cultures, customs and perspectives. “My absolute favorite thing about EHS is that I get to live with people from all over the world and meet people from different colleges. It’s a great way to meet people and learn about different cultures… We get to interact with international students or any other students during the RA hosted events,” Thomas said. People from around the world dream of living in NYC—and you get to learn about their stories and dreams without leaving your building. Watch Netflix in bed with the NYC city skyline as a backdrop. You deserve better than a one-windowed view of the concrete wall of your next-door neighbor’s building. Many of the Educational Housing Services rooms make just sitting at your desk an Instagram-worthy event. “Nestled in the southern peninsula of the island, the building affords views which extend from the beautiful buildings around it to the Brooklyn Bridge and the East River,” said Burns, who lived in the 55 John Street location. Stare out your window and revel in the fact that you made it. You’re living out your dreams in the Concrete Jungle. “I have a fantastic view of the East River and the FDR drive. 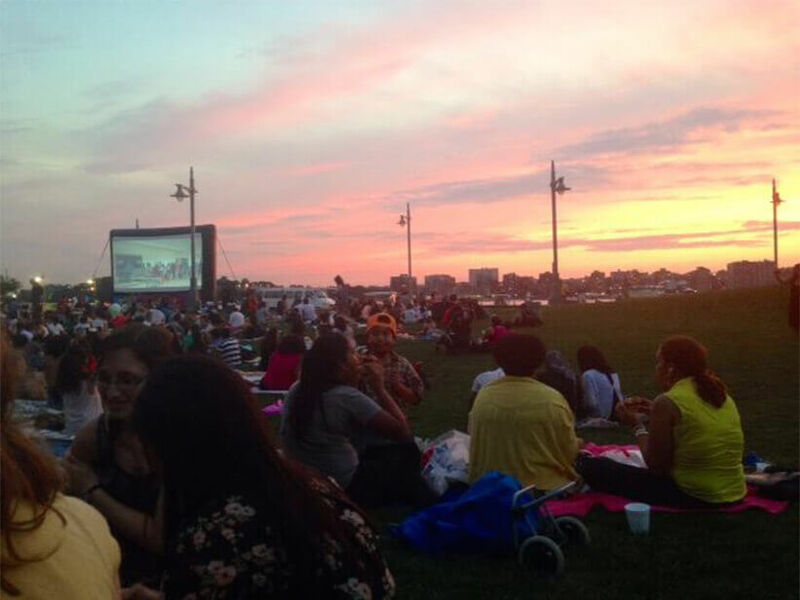 It is absolutely beautiful at night,” Thomas said. Avoid wasting precious time and energy worrying about logistics. Educational Housing Services has you covered while you focus on all your career goals. You can even pay rent super easily online. EHS breaks up payments evenly throughout your stay so you don’t need to stress about remembering to pay rent each month. Student housing prices also include all utilities, cable and Internet, which means less time spent bickering on the phone with the electric company and more time spent wow-ing your new boss. “It would have been very hard to immerse myself into a new job and city if I didn’t have such a positive living experience. Living at EHS enabled me to be in such an accessible area and meet great roommates making my summer that much more enjoyable,” said American University senior Megan Lavins, who interned with J.P Morgan. 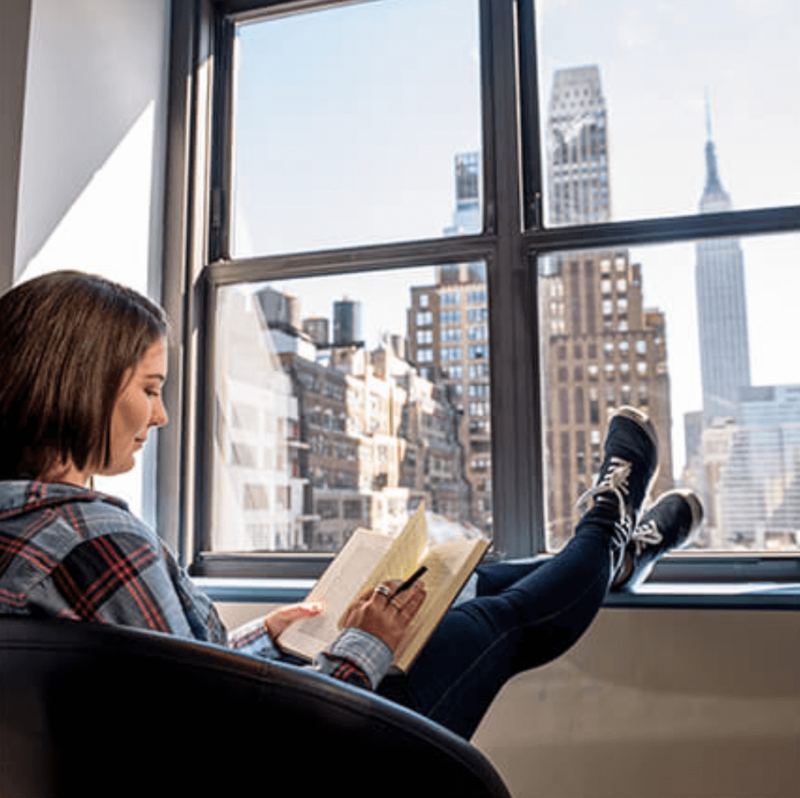 Set aside your housing fears because Educational Housing Services offers affordable student housing in NYC for short stints like just over the summer to year-long leases. With six locations across the city, you hit the jackpot of accessible housing nearby your new internship. Plus, you can save yourself from the apartment hunting hassle. Pack your bags because you’re on your way to New York City! *Updated on February 2, 2018 by Laura Smythe to include 10 more reasons EHS makes NYC student living stress-free.